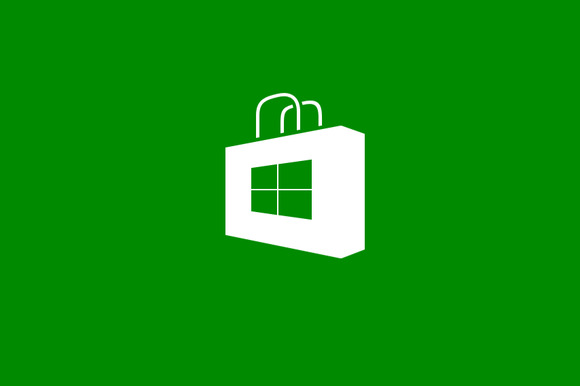 Windows 8 Store cracks 50K app mark, but now what? 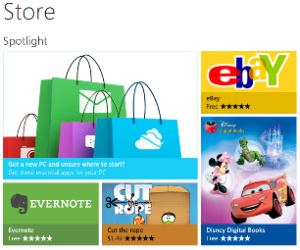 After a sluggish 2013 start, Microsoft's Window 8 App Store appears to be attracting new titles again. The online outlet vaulted the 50,000 app mark Saturday, according to MetroStore Scanner, a website that unofficially monitors app activity at the Microsoft outlet. That's a global number, so all those apps may not be available to U.S. users. 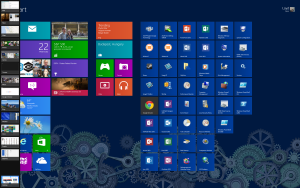 Since the high-profile launch of the Windows 8 Twitter app on March 13, only 49 new apps have hit the US version of the Windows Store. However, Metrostore Scanner—the tracking service this report is based on—shows that 3000-plus new apps have appeared globally during the same time frame. Games (AE Lucky Fishing, Photo Puzzle, Shuffle Party, and Tilez). Most of the apps are free. Despite Microsoft's vow to "aggressively" reach the 100,000 app mark in the first three months of Windows 8, which was launched in October 2012, it's taken the company five months to reach 50 percent of that ambitious goal. As might be expected, the app store showed robust growth following the Windows 8 launch. It hit the 20,000 mark in November and apps were being uploaded at a brisk pace of 500 a day. That pace trailed off and the store didn't reach the 40,000 app milestone until January. In fact, only 5000 of those apps were uploaded from the end of the holidays (December 27) to the end of January. After that, activity really took a nose dive at the store. Growth flatlined in February, with daily uploads well below 200. The numbers game wasn't the only area where Microsoft's app store was lacking. The quality of the apps appears to be lagging behind competitors Apple and Google, too. "After scouring the depths of the three largest app stores, I can safely say that the Windows Store simply doesn't compete with Google's Play Store or Apple's App Store in either quantity or sheer usefulness," observed PCWorld's Brad Chacos. He acknowledged, however, that might be expected because the other app stores are more mature, as well as more popular at the moment, than Microsoft's fledgling outlet. Meanwhile, Microsoft has started to address the flagging numbers at its app store by throwing money at the problem. The company announced last week that it will start paying U.S. developers $100 per app published at the Windows Store or Windows Phone Store. App postings per developer are capped at ten for each store. Neverthless, Microsoft may be finding itself in a "chicken and egg" situation. Developers won't be attracted to the app store until they can do some volume business there, and that can't happen until Microsoft sells more Windows 8 hardware. It can't do that, though, unless it has the kind of apps that make consumers not only buy Windows 8 hardware, but use the new operating system's interface, which is optimized for the apps and not resort to using legacy programs in "desktop" mode.